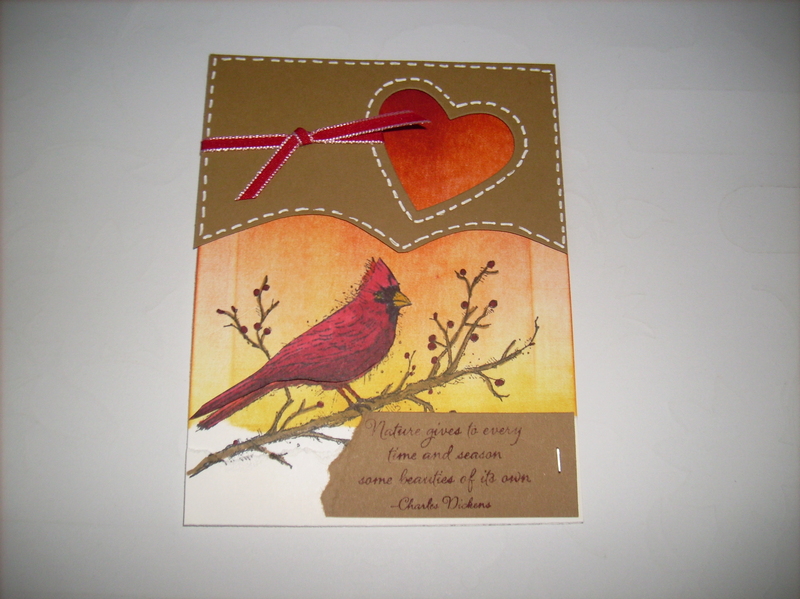 Today’s post is a beautiful and serene card that I used for a seasonal sympathy card. The stamped image and sentiment is from the Beauty of the Season #135779 stamp set from the Stampin Up holiday catalog. 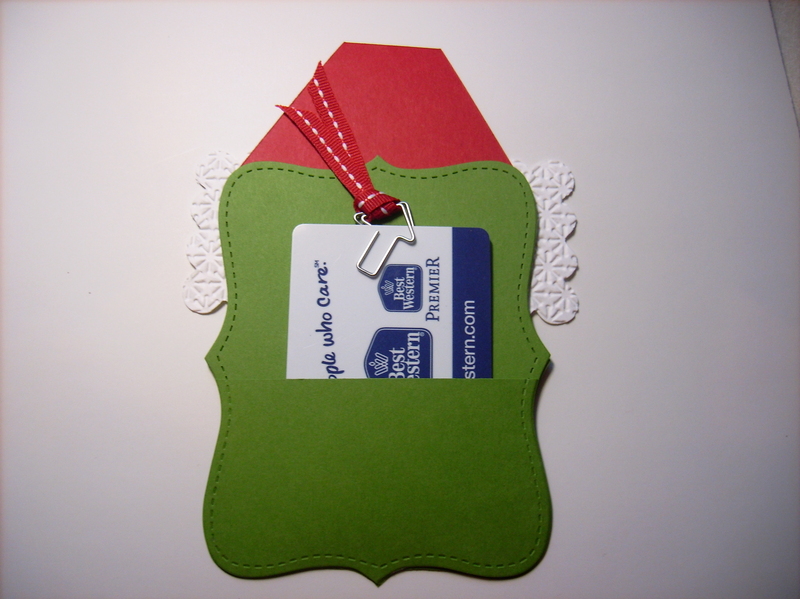 The background was brayered and then a soft suede overlay complete with a heart peep hole was added to soften the look. I am a believer that nothing beats a pretty sympathy card to help ease the pain of the loss of a loved one. The power of receiving a hand made card is good for the soul. 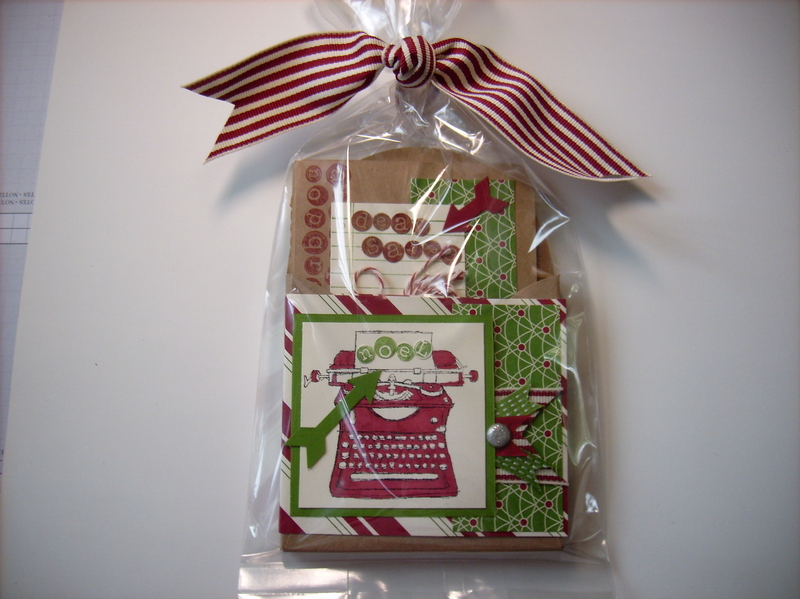 Today’s post is a very sweet Christmas journal that Cammie made for her special customers and for our holiday gift basket for Kamp Dovetail. Cammie decorated each mini Stampin Up Kraft Grid Journal #135718. Cammie featured the Tap, Tap Tap #134204 stamp set to decorate her journal and coordinating box. 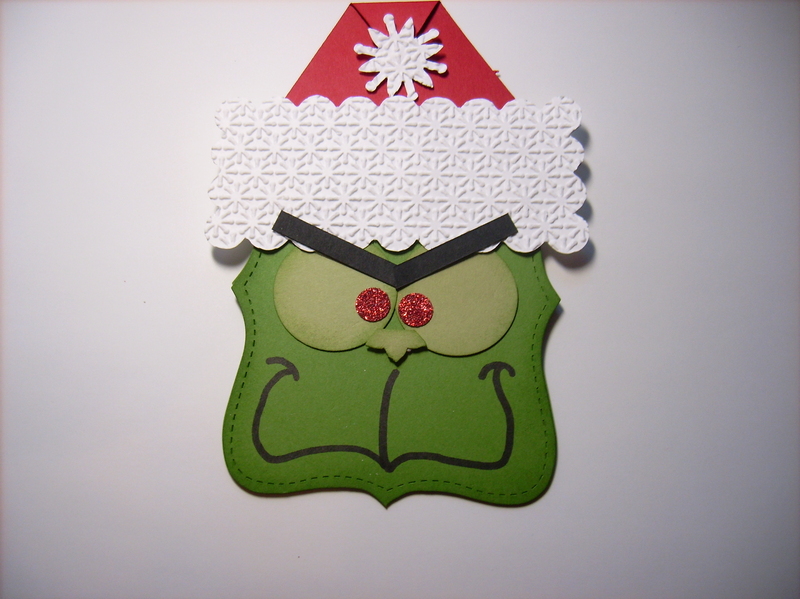 Christmas holiday is behind us but the Christmas cards keep posting. 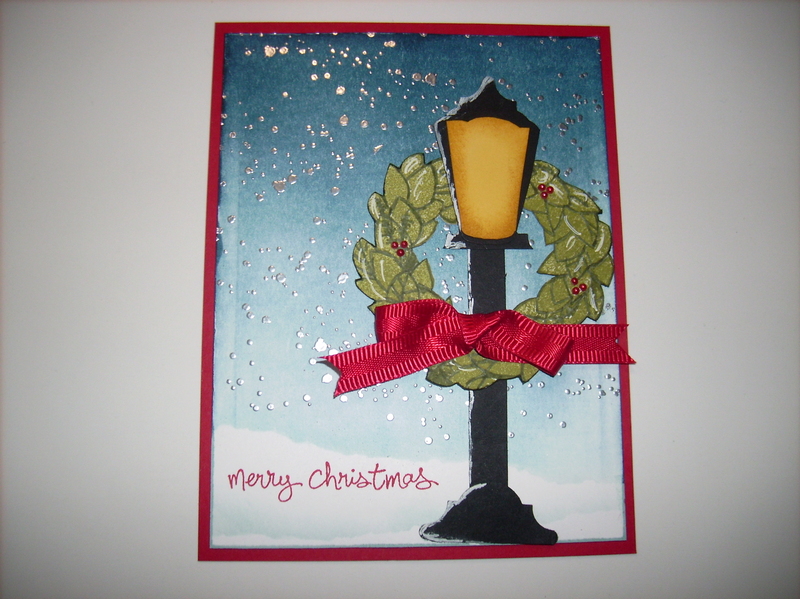 This is another one of my 2014 cards using products in the Stampin Up holiday catalog, The non traditional Christmas color combination of curry and silver made me happy. 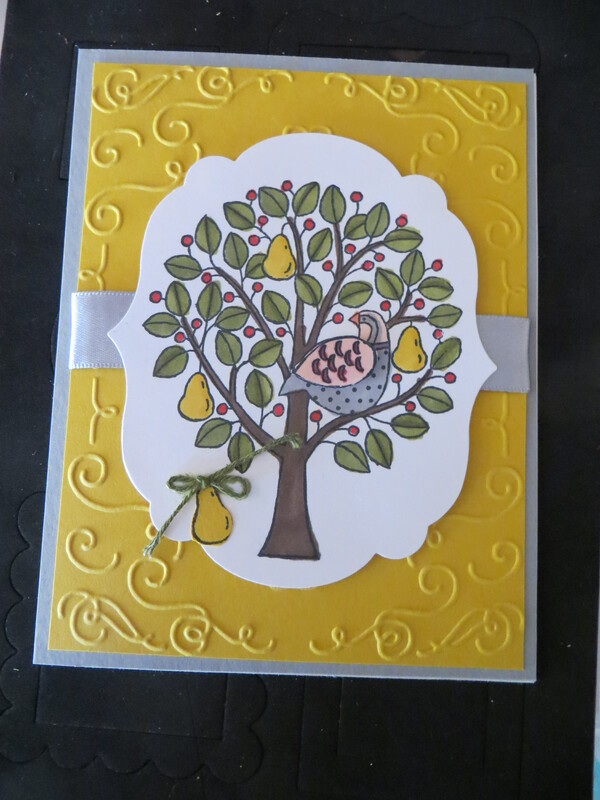 I textured the background with the Filigree Frame embossing folder #135818 and then colored the Partridge and Pears #133857 image with the Stampin Up Blendabilites markers. Cammie made thus gorgeous Christmas card that combines brayering, embossing, punch art and stamping that features the Wondrous Wreath # 135047 stamp set. Merry Christmas one and all! 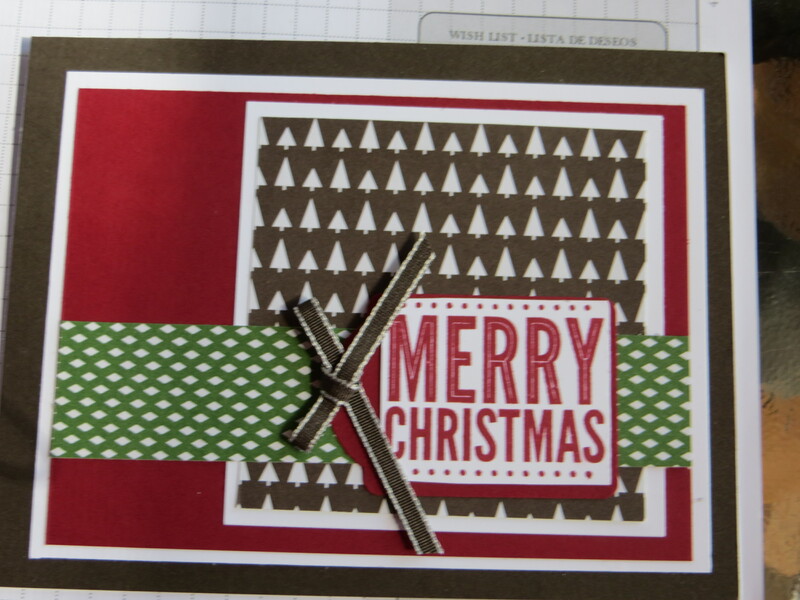 Today’s post features 2 cards using the same DSP and stamp set from the Stampin Up holiday catalog. 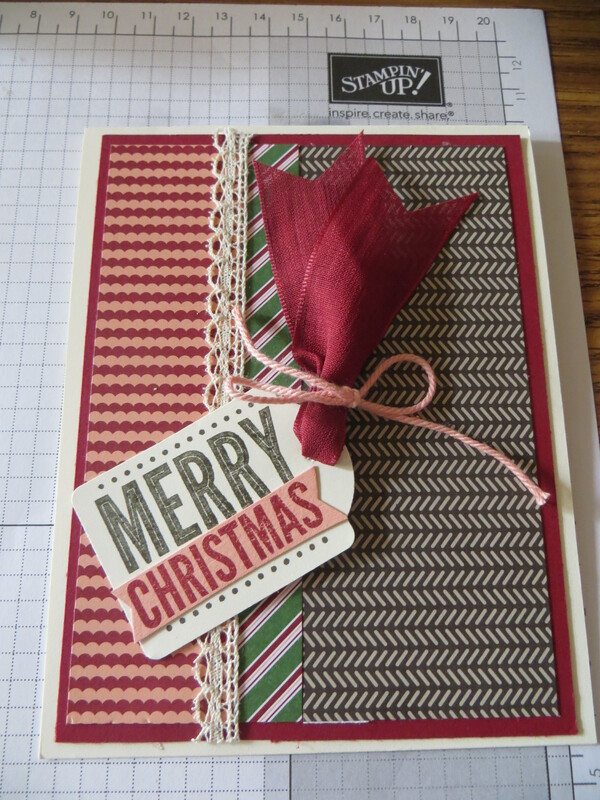 Both cards use the Trim the Tree #135824 Designer Series Paper Pack and the Merry Everything #135071 stamp set. The Merry Everything stamp set works in tandem with the Note Tag Punch #135860 and when purchased together (wood #137635, Clear #137636) you can save 15%.